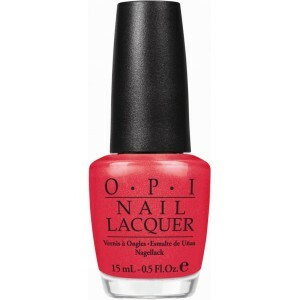 OPI Nail Polish, I Eat Mainely Lobster, NLT30, .50 fl. oz. Bright coral pink nail color with red undertones and very subtle gold micro-shimmer.